Beautiful pinks and purples cascade from the sky creating a dizzying blur of colors, as the branches of a Rose Grape Tree bob up and down like fish eggs on so many hooks, waiting to catch passersby attention. A relative of the Chandelier Tree, the Rose Grape Tree (Medinilla magnifica) hails from the Philippines and grows up to 8 feet tall. 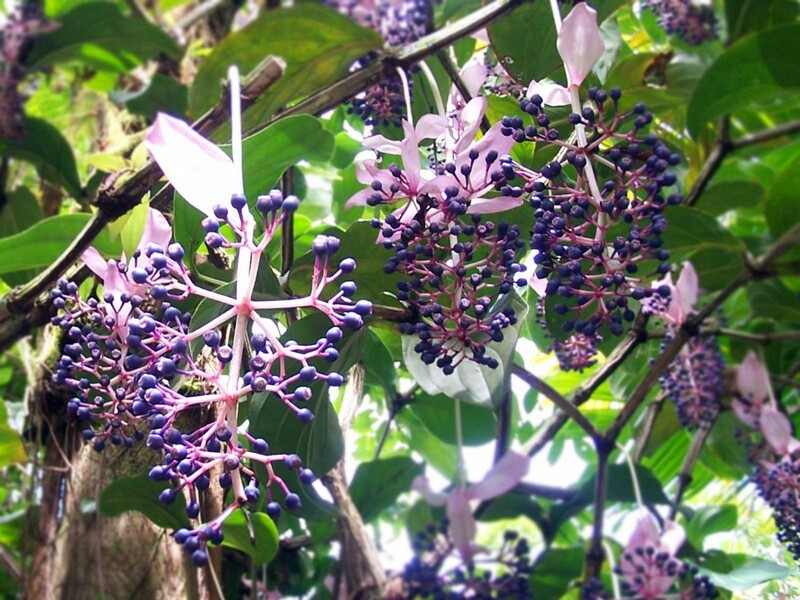 These rose grape branches were captured in the Hawaii Tropical Botanical Garden near Lily Lake. To see more species in the same family as this beautiful, hanging plant, take a look at HTBG’s plant database, Melastomataceae family.